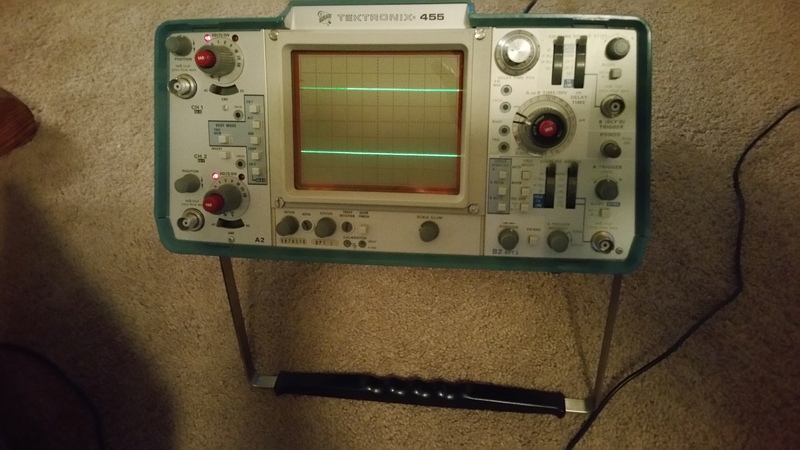 Tektronix 455… have always wanted a ‘scope’ to use to monitor my signals. Got this one from a engineer who upgraded to a fancy new one. 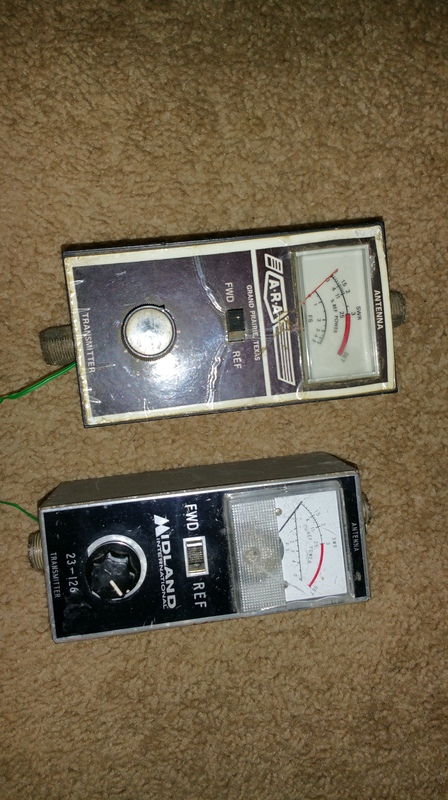 Paid $75 for it and it works great! 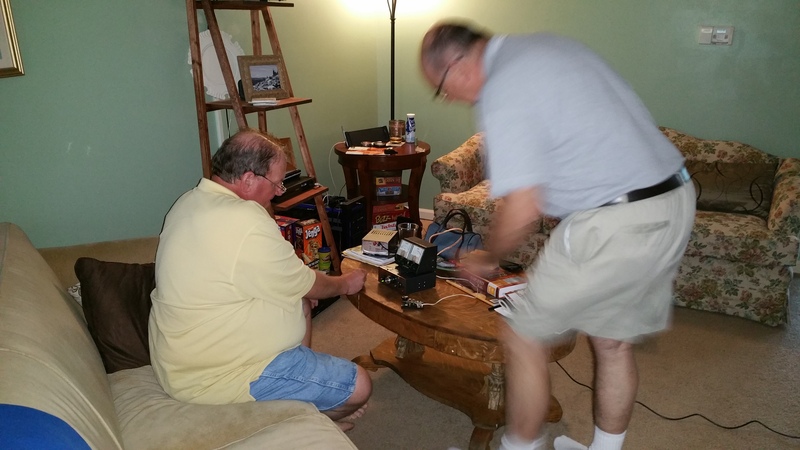 Bill, Tom and I decided to buy a QRP rig to play with that night while in Dayton. 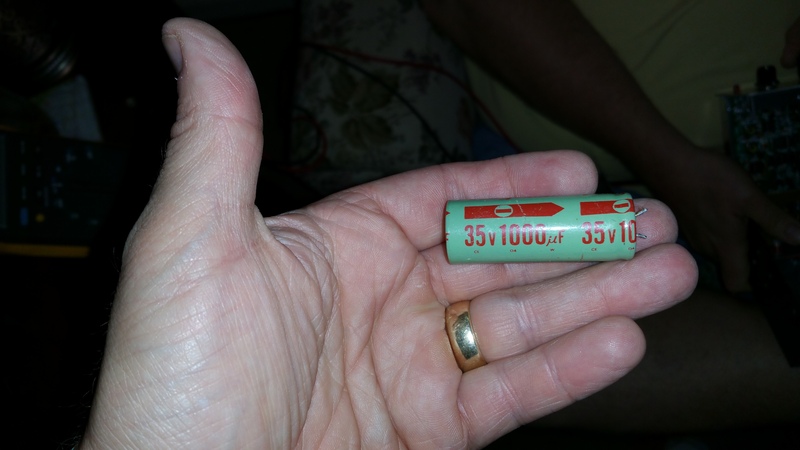 So we picked this little jewel up, found an old power supply, some cheap meters and rigged up a dipole for some 40 Meter QRP. 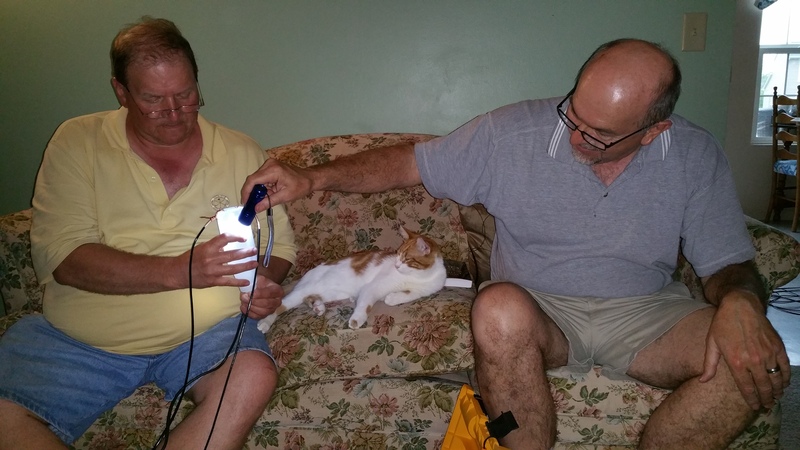 Bill and Tom (with the assistance of my daughter’s cat, “Ender”) put together the custom dipole for 40 Meters. 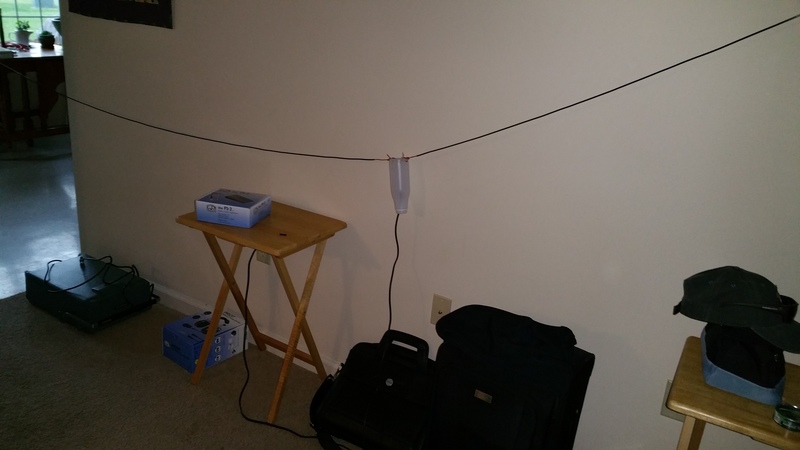 It was strung through the kitchen and up the stairs… and it made beautiful music! 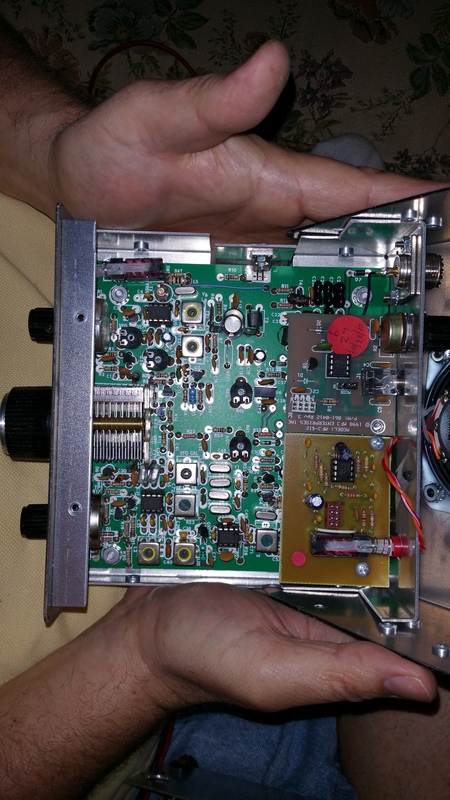 Inside the MFJ 40 Meter QRP rig… CLEAN! 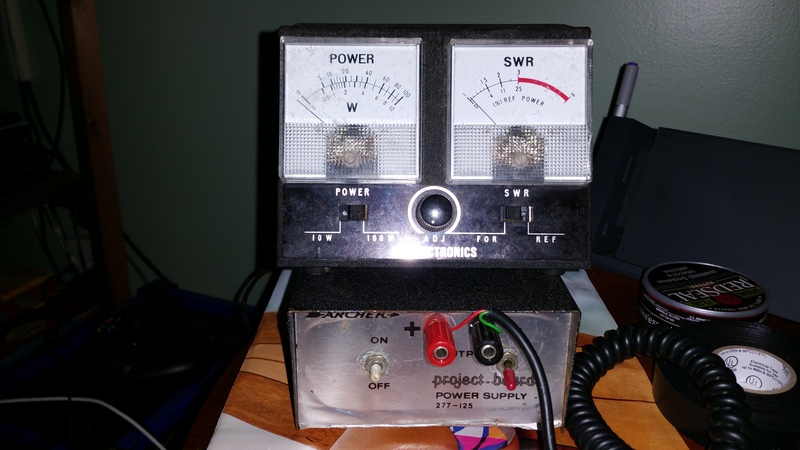 Picked up a cheap power supply and some $1 meters to add to our Dayton Hamvention “power house QRP station”. 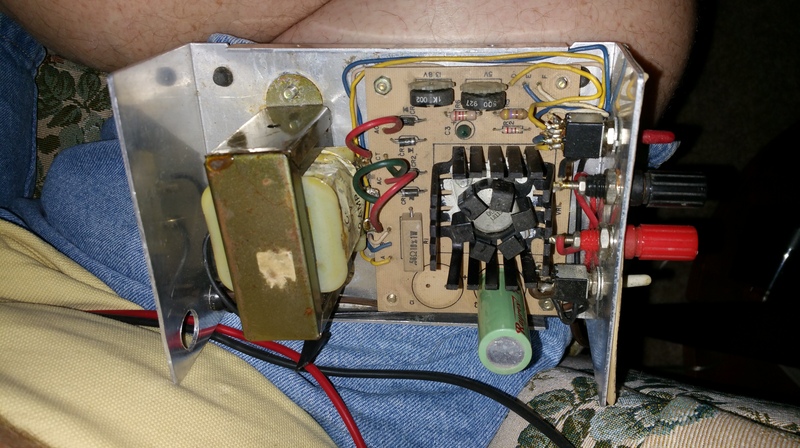 Bad capacitor in power supply had to be re-soldered. 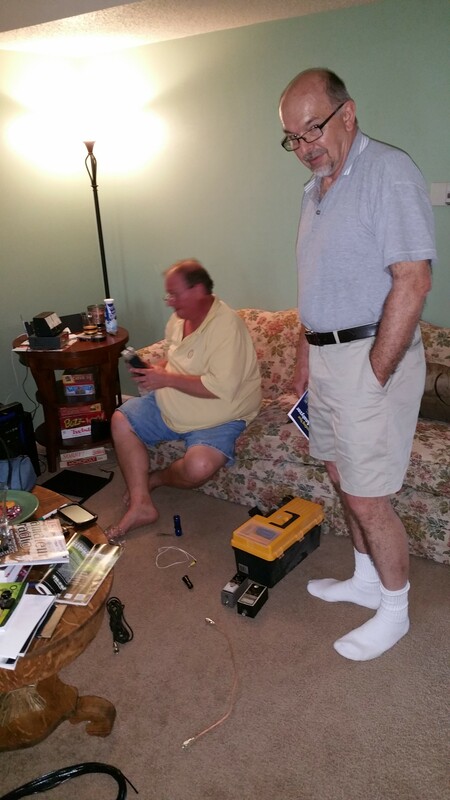 Bill wiring circuits with Tom’s oversight. 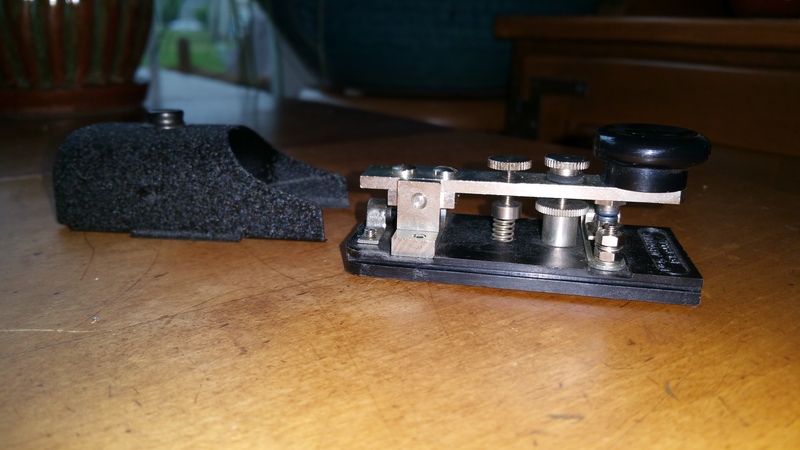 Bought this cute and tiny South African Special Forces Keyer to use for QRP and Straight Key Night contests. Lighting up the FINALS! Burning holes through the clouds! 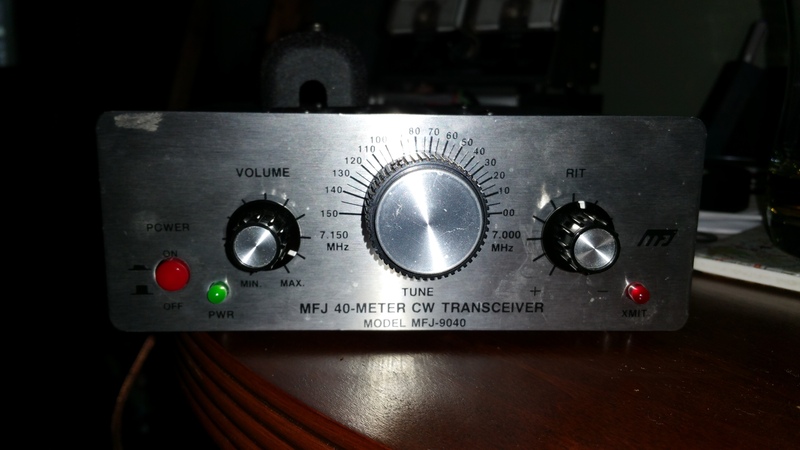 NEXT YEAR… this will be our big purchase for a tower for our weekend QRP station. 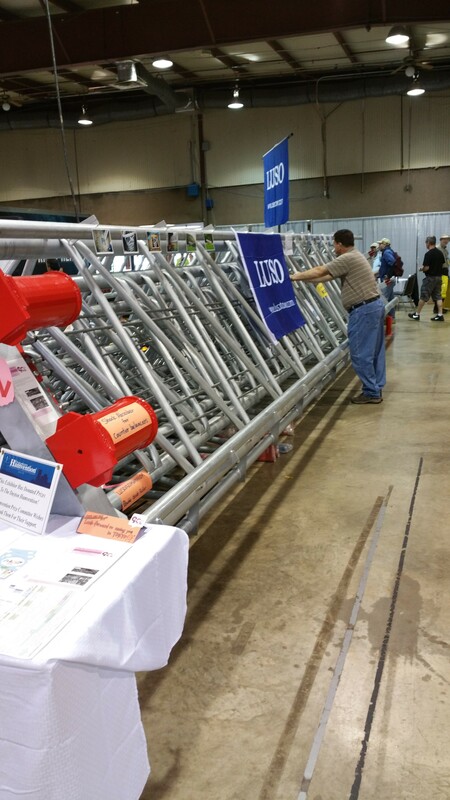 Tom gets to carry it out of the Dayton Hamvention Hara Arena to the truck.